This was my first month trying out Shelflove Crate and I’m on the fence a little about this one. While there was nothing I truly disliked about the box, it didn’t stand out to me as much as some of the other boxes I’ve bought in the past. There were some items that I thought were really cute but there were also a couple that really do nothing for me. My favorite item would have to be the puzzle. It’s such a unique idea and the artwork from Sweet Sequels is stunning. I’m a huge fan of puzzles so I will be putting this together one weekend very soon. This is definitely one of those puzzles that you glue together and frame because it’s just too perfect. I also really liked the bookmark that was included. While I haven’t read The Cruel Prince, I can still appreciate the artwork and the quote on the other side. I have a feeling once I’ve actually read the book I’ll enjoy having this bookmark in my possession. It’s also really sturdy and high quality which is great since my bookmarks tend to get tossed around a bit. As per usual, the Flick the Wick candle smells amazing. I’m not usually a fan of fruity scents but this one is just subtle enough for me to enjoy it. 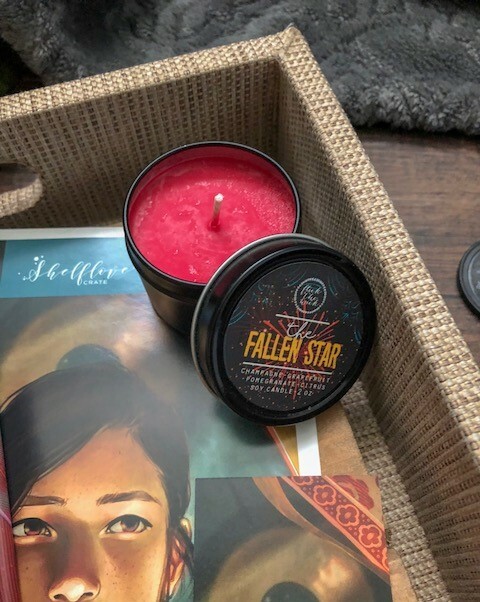 I also really love that they match the color of the candle to the design on the lid. It’s the little details that really get me. I don’t think I’ve ever received a Flick the Wick candle that I didn’t end up loving. 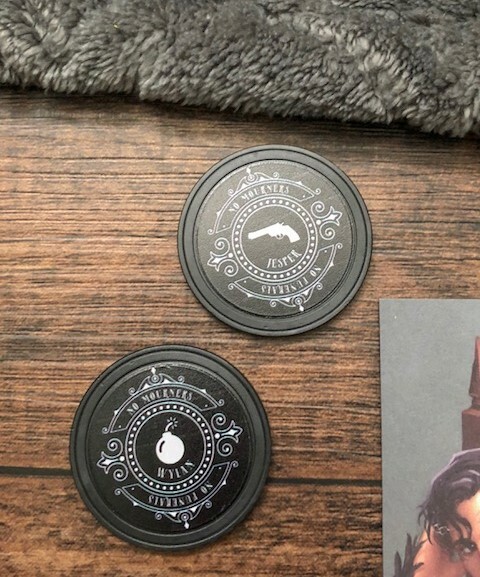 Surprisingly, I was not a huge fan of the Six of Crows poker chips. I love that duology and I’m usually a lover of all things Grishaverse but these seemed a little pointless to me. I honestly have no clue what to do with them. Currently I’m just trying to keep them out of my dog’s mouth and safely stowed where he can’t reach them. I may use them for bookstagram photos in the future but other than that, they will probably just stay stored in a bin somewhere. The thing that really saved this one for me was the book. 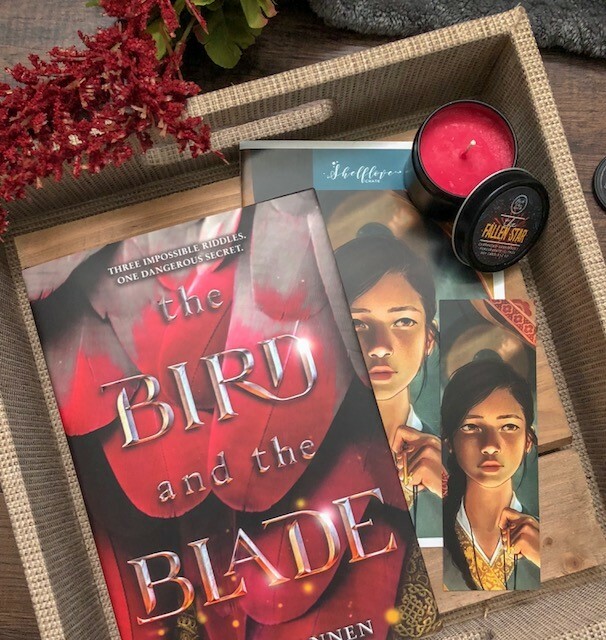 I’ve been wanting to read The Bird and the Blade since I first heard about it. I find that if you subscribe to multiple subscription boxes, you are going to end up with multiple copies of the same book. 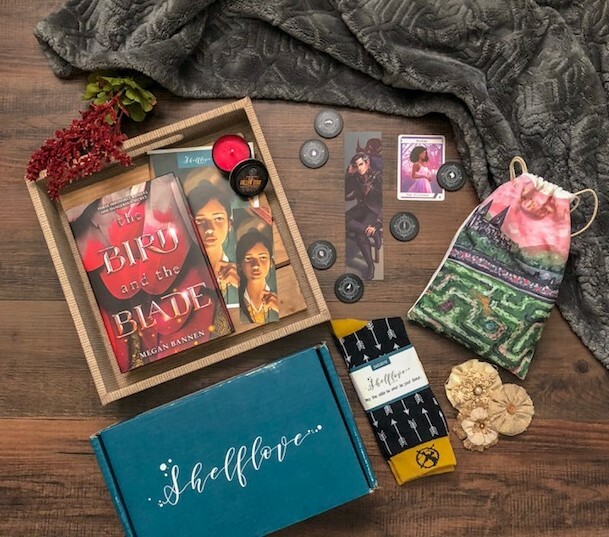 With that being said, I was glad to see that Shelflove Crate included a book that was not also used in one of the larger subscription boxes (Owlcrate, Fairyloot, etc.). I’m eager to see if The Bird and the Blade is as good as I’d hoped. Overall, I’m giving Shelflove Crate another try. I’m hoping the August box will wow me a little more than this one did. 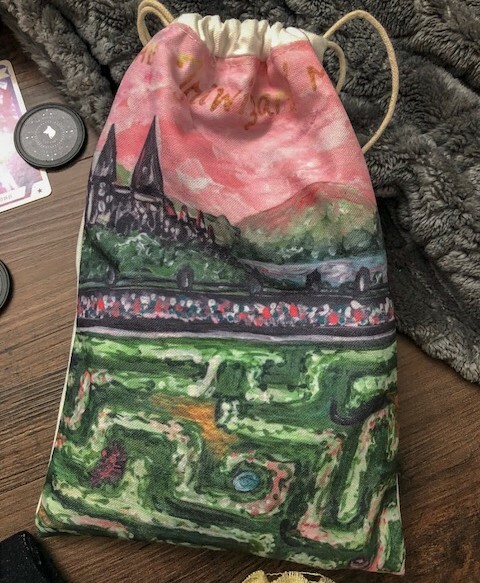 I do feel that I got my money’s worth with the July box but, other than the puzzle, nothing really jumped out at me with this one. I really just don’t see myself keeping some of the items (poker chips, socks) and that disappoints me a bit but that is a risk you always take with these kinds of boxes. Also, they did have a delay with one item for the box which caused shipping to be delayed by about a week. They were very upfront about the delay and kept everyone updated via email and Instagram. I was very impressed with how they handled the communications and it ended up not even bothering me that the box was a little late. 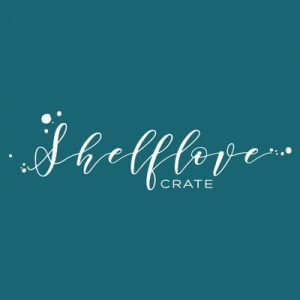 Have you tried out Shelflove Crate? What did you think? Based on this unboxing, is this one you’d like to try? Sorry you didn’t enjoy this more, but it seems pretty cool to me. I’d totally try this. The crafter in me would probably turn the poker chips into jewelry or wall art. I’m sorry you didn’t like the box .. 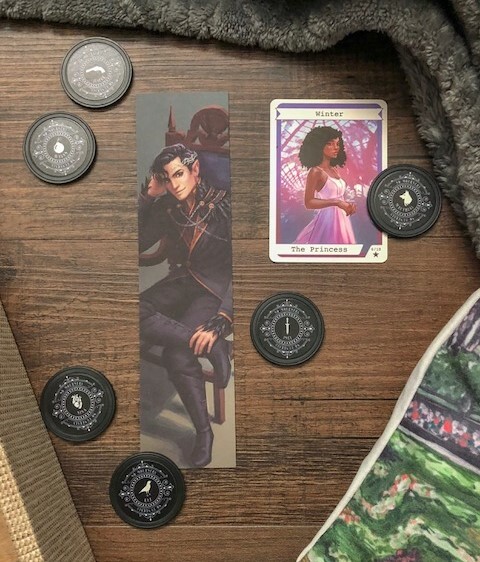 This is one I’ve been looking at trying, but like you I am still on the fence.. Those hunger games socks are totally cute… are you not a fan of The Hunger Games ?